This year I signed with London based gallery IMITATE MODERN and will showcase a few pieces at a group show titled "POPPED". Expect to see works from the likes of Mason Storm, Lukas Avalon, DAY-Z and yours truly. Click HERE to read more and see the flyer for details. WEDNESDAY 11TH SEPTEMBER AT IMITATE MODERN. It will be a fun show for sure! Busy couple of months ahead. July and August are set to be a busy time. Over the course of 2 days I will have 2 shows. I will have 2 pieces showing at a group show at Imitate Modern which will be all oil based works and the day after a solo print show at the Puma 21store in Boxpark, Shoreditch. 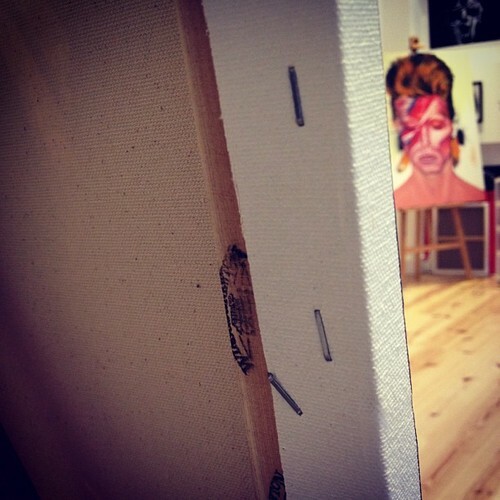 Here's a teaser shot for the Imitate Modern show. New representation - Imitate Modern. 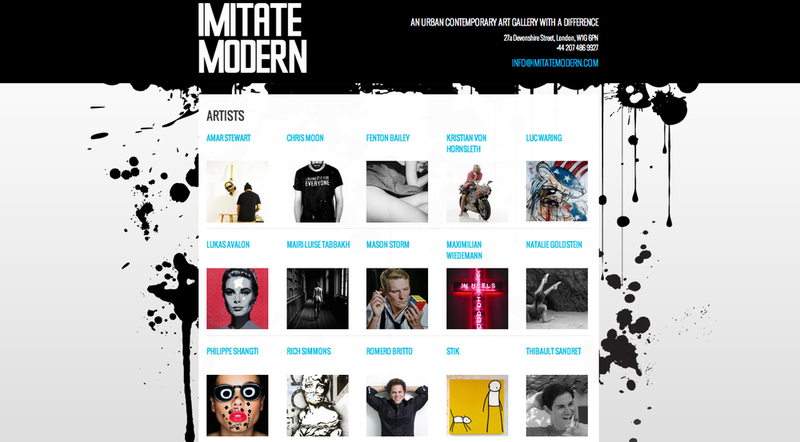 I am now signed to London based gallery "Imitate Modern". These guys work with some great artists so I'm super happy to be working with them. Look out for upcoming shows!